In this second piece in the series, I used a purple pen to go with the pinkish-purple that lingered in the center of the salt pools, and the ink separated out as it dried, leaving the pink behind in the lightest washes and looking bluer at the edges. I used simple water to create the background wash, picking up ink from shading that’s nearly erased at the top and bottom, plus the tips of some of the longest lines in the center designs. This is another of those pieces where incessant fiddling gave me interesting results in the form of the layered ink washes, especially down in the lower left. 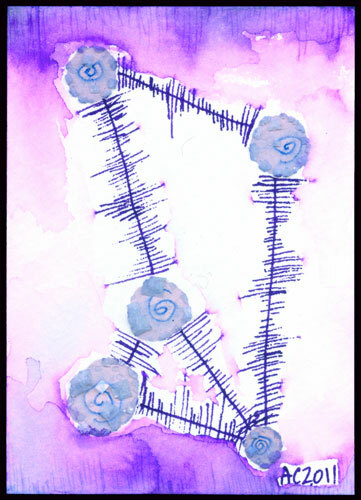 Five 2, 2.5″x3.5″ mixed media on paper, nfs (but available for trading!). 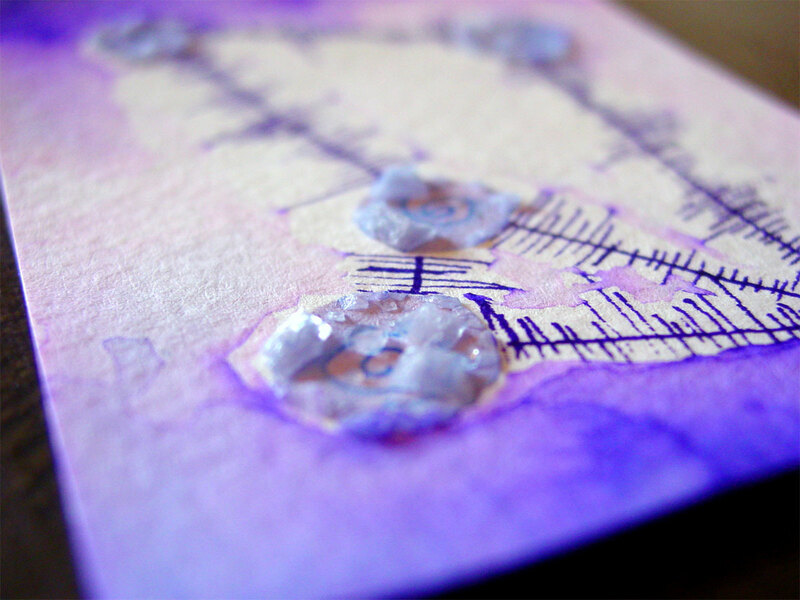 You can see the paper texture in the detail shot, and the shape and sparkle in the blue salt pools.